Fnatic has finished its run at ESL One New York, bagging a quarterfinal finish and $14,331 in hard-cold cash after being beaten by eventual tournament runners-up Team Secret. As mentioned in an earlier article, Fnatic needed to release their A-game in order to be able to go deep into the tournament. The format itself was unforgiving as teams did not have a second chance: A best-of-three single elimination bracket all but ensured Fnatic’s fate. However, the fact that the team was able to take map off Team Secret, a team which has some of the most creative theorycrafters in Dota 2 (Jacky “EternaLEnVy” Mao, Johan “pieliedie” Åström and Clement “Puppey” Ivanov come to mind), is a telltale sign that some things are going well for the Southeast Asian powerhouse. For now, the SEA mix can sit back, relax and consider this tournament as an eye-opener and consider it practice for many larger tourneys to come. What’s next in line for the team? Fnatic has been invited into the SEA Qualifier of the Frankfurt Major; Valve has decided not to give a direct invite to a SEA team this time around. 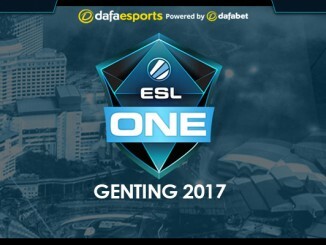 Still, the Southeast Asian qualifier allows for two slots to the first Valve-sponsored Dota 2 major of the year. The team is considered to be one of the heavy favorites coming into the tournament and they are expected to be able to take one of the two slots, despite having some heavyweight names such as Mineski and MVP.Phoenix in the mix. Also, the SEA household name has received an invite for the $200,000+ prize pool Nanyang Dota 2 Championships, which could turn out to be the largest Southeast Asian Dota 2 tournament to date in terms of prize pool and team participation. The very fact that they have been invited along teams such as Team Secret, Virtus.Pro and Invictus Gaming among others shows that many people are aware of their potential to perform better at a higher level. It is too early in the day to be able to say anything about their full potential, but upon seeing Djardel “DJ” Mampusti’s performance on Tusk against Team Secret as well as the way the team played in general, it is clear that they can hold their own against the best teams in the world. Objectively, they were not able to go deep at ESL One New York. 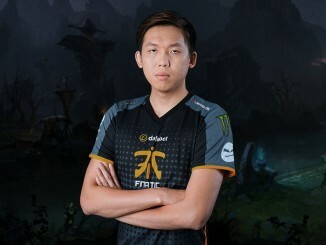 Still, they have around three weeks in order to prepare for the Nanyang Dota 2 Championships, which in turn could serve as a sort of barometer in which Fnatic can test new drafts, step up their gameplay – and possibly win the title for Southeast Asia! 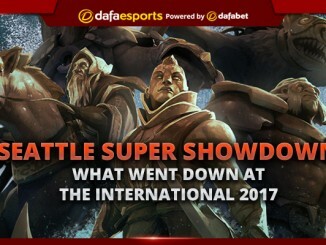 Despite the fact that they were not able to do much at the first post-TI ESL event in New York, they still showed a lot of potential: If they can tap this properly, they can be one of the best teams in the world while remaining as Southeast Asia’s flagship team. For now, it’s a good moment for them to relax, analyze some replays and get their game to the next level!